Should I get, the 5D or the 6D? Why would anyone buy a Canon 6D? Which full-frame camera is best for video? Whats the difference between the 5D and 6D? These are questions I get asked on a daily basis, so I decided to put together this video breaking down the 9 biggest differences between the Canon 5D Mark III and the Canon 6D. If you’re looking to get started in DSLR video and wondering which DSLR is best for you, I would suggest you start here. These are 9 of the biggest differences between the 5D and 6D DSLR cameras. 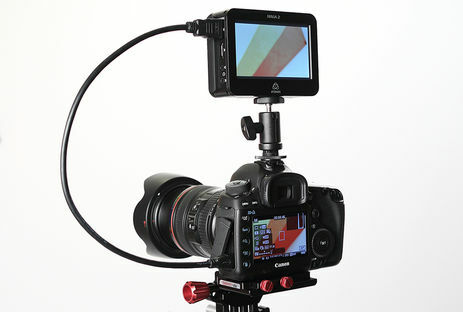 The Canon 5DmkIII has a built in Moire filter that will eliminate the artifact. So no more messy plaid suits or brick walls! 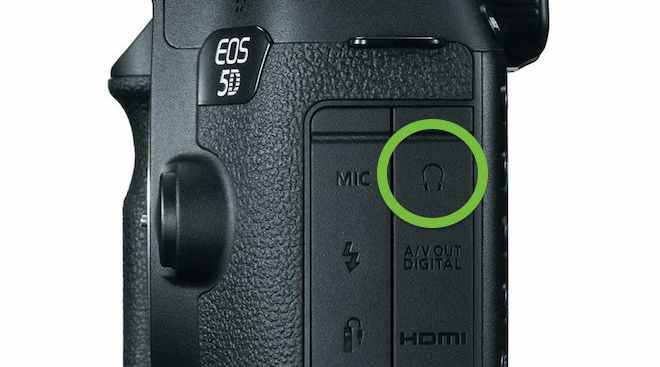 Whereas the Canon 6D still sees the artifacts You can use a special filter to fix this issue. Check out this comparison between the two cameras. There is a $1500 difference between the 5D and the 6D at the moment. Over time these prices will go down, but there will always be a big gap. So think about whether or not the pros of the 5D are worth $1500 to you. The 5D Has MUCH better auto focus when compared to the 6D. Shooting a lot of spots? Maybe you should be getting a 5D. Filming almost all video? Than the 6D will do fine. The 5D has better build quality than the 6D but not much. The big differences can be felt in the buttons, dials, weight and bulk of the 5D. 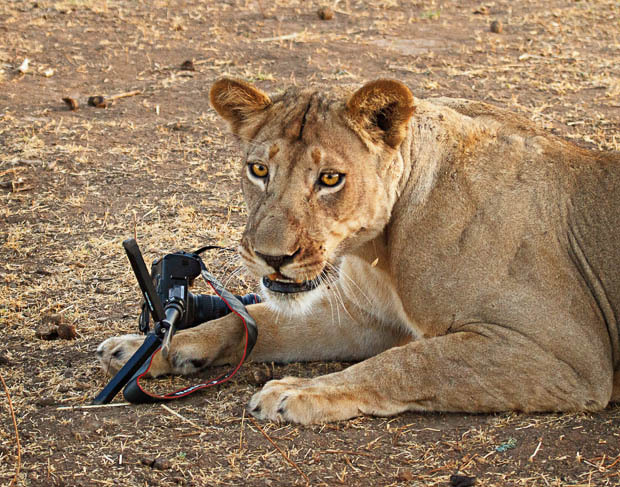 This wasn’t a huge factor for me because I cage my video cameras. As I mention in the video, changing white balance on the 6D is a little more involved than the 5D which has a dedicated WB button. The 5D Mark III allows you to record video with an external recorder such as the Atomos Ninja, Blackmagic HyperDeck Shuttle or the Sound Devices PIX. No Clean HDMI on the 6D. UPDATE: I was wrong on this… You can record RAW on the 6D. The Magic Lantern hack is in pre-alpha, but it is possible. More info on that here. Want RAW video on your DSLR? The 5D Mark III can pull it off while the 6D can’t. No headphone jack on the 6D. While the 5D Mark III sports one as I’m sure you’ve guessed. 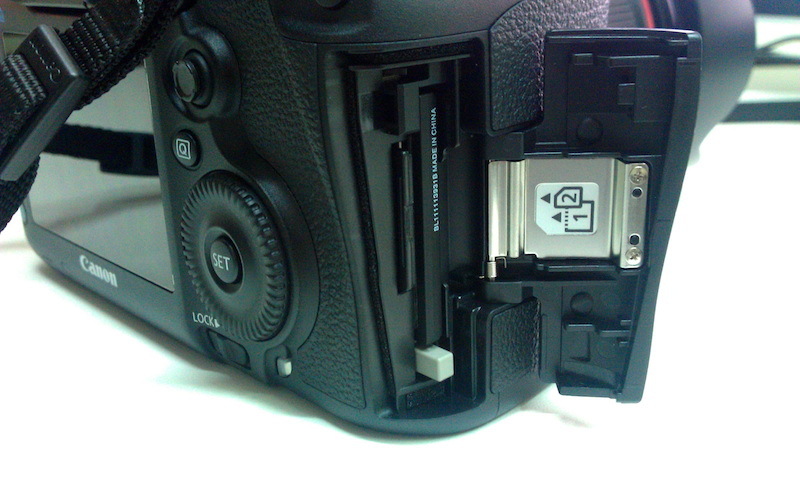 The 5D Mark III has 2 camera slots (an SD and a CF) while the 6D has but 1 SD slot. I hope this video has been a help to those looking for answers about these cameras. What is your opinion? Do you think there is something missing from my list of big differences? As a Canon 6D owner, I totally understand the purpose of this video. I purchased the Mosaic filter, and it works fantastically. You’re right when you said that we used to praise the 5D MkII as being an awesome camera, but now we trash the 6D even though it’s leaps and bounds better? Something else to note: Shure makes a video mic that has a built-in headphone jack; another solution for those that need it. Thanks for the great content, Caleb. If only the 6D had the headphone jack i could live without all the other drawbacks. Nice review! I purchased the 6D back in November, and chose it for pretty much the same reasons. I’m very happy with the quality of the camera/images. Those extra features offered by the Mark III were nice but didn’t justify the extra cost in my opinion. I wish the 6D got more love from the video community. Even the dated and clearly inferior 7D still gets more love than the 6D. When I tell other videographers or photographers about the 6D they mistake my camera for the 60D or assume it’s a step down from the 7D. For a full frame sensor with the same great image quality of the 5D MKII, the 6D is a great deal. I have been able to buy 2 6D’s(on sale) for the price of one 5D MKIII. The 5D MKIII is hands down better but the lower price of the 6D allowed me to invest in better glass which IMO makes a bigger difference. I don’t get the 6D. Why not just buy the 5dmk2? It better build quality, better weather sealing. The image is the same. The 6D does a little better when it comes to low light, but not really that much. The 5Dmk2 i cheaper. I don’t hate on the 6D, just don’t get it for video purpose. For stills it’s another thing tho! As someone who currently owns a 5DmkII and a 6D, I’d have to disagree. The 6D is much much better than the 5DmkII. It has less compression, more video and audio features, has MUCH better low light sensitivity and you can record and monitor in HD. Also if you factor in Magic Lantern? I mean. I havn’t seen ML for 6D yet – maybe just me? Hmm.. Might just be me that has another experience then.. I don’t see that big a difference between them. Bigger diffence between Rebel and 5dmk2 in my eyes. With Magic Lantern you can use USB to Audio adapter for monitoring. RAW video IS being done with Magic Lantern on the 6D. Just in lower resolutions. Then upscaled to 1080p. Some claim close to continuous recording! If I go full frame, 6D is where I am going. Yeah there’s always workarounds, but it seems like such a basic feature that should be included. Thanks for the link Dan! Good idea to save up for your next camera by getting the 6D. What are you going to get a C100? I gotta say the GH4 has me very interested, but it would be painful buying new lenses. Leaning heavily toward the C100… Gonna see what NAB has to offer. I gotta think Canon will give us something interesting this year. Perhaps another price drop on the 1DC because of the GH4 and BM4K cameras. I would like to hope so. Although part of my thinks they won’t do anything… Since they seem to think they have us all by our gentlemen hardware. I absolutely LOVE my C100. No regrets whatsoever. The ergonomics and ease of use of that camera are awesome, not to mention the amazing image you get. I’m also interested to see what Canon does at NAB, but my hopes for something revolutionary aren’t very high. Caleb, I couldn’t agree with your comments more. The 6D deserves much more love than it gets. Sure it has shortcomings like any other camera body but those can be mostly worked around and the $1,000 or so you save over purchasing the 5D MIII will get you a long ways towards purchasing a quality lens that is going to make a much larger impact on your final image than which camera body you’re using. 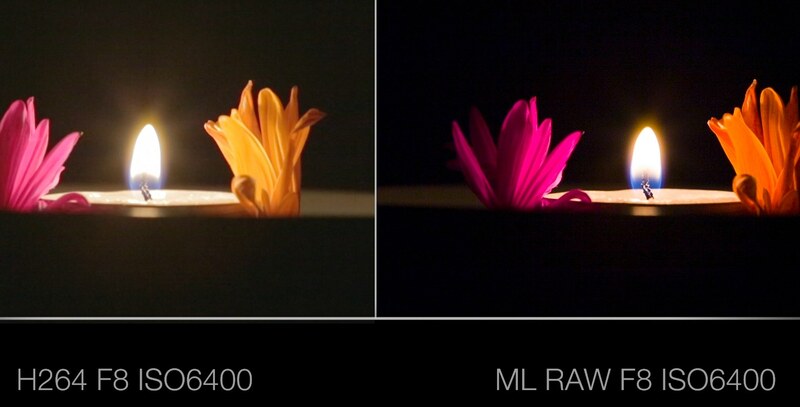 What about low light performance? i read that the 5d sensor is better. is that correct? I have used both cameras, and I have to say, the 6D doesn´t get love, because, hard as it may sound, it doesn´t deserve it. 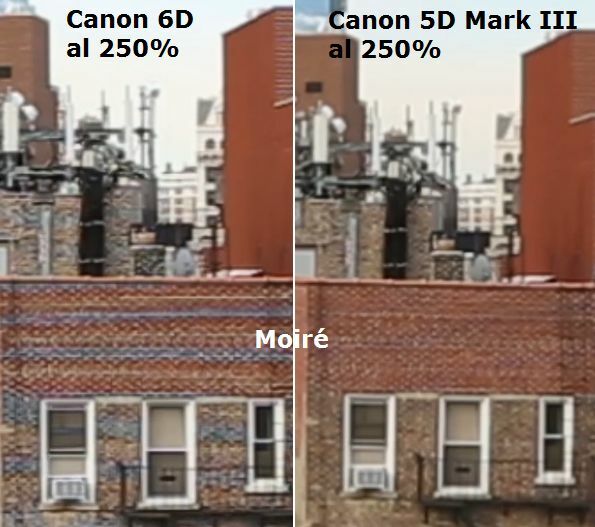 The 6D has the same aliasing and moire problems the 5D Mark II had 5 YEARS ago, Canon should have rectified this, and they are very capable of it, the 5D mark III is the living proof. Why no clean HDMI out in 2013-14 is beyond me. The only thing I see really going for the 6D is it´s price, and I think that, with no real HD raw, it´s actually quite expensive for the capabilities it brings to the table. Now, I know the 5DM3 wasn´t designed with the raw recording out of the box, but the way I see it, it is one of the few things Canon DSLRs have going on for them at the moment (apart from the 4K of the 1DC) It´s actually a shame both cams are so limited in standard config (no Magic Lantern). But at least for me, I would be happy to go into a shoot with a 5DM3, horrified to go into one with a 6D. I personally like all cameras to have a special “party trick”. The 5D does raw. the 1DC does 4k internally. the FS700 does 240fps, and so on. what’s the 6D’s party trick? There’s nothing really special about it (sorry to say but a full frame sensor isn’t enough for me to make the party shake). Why do people keep using 5d Mark III raw like it’s a stable process to use in Live events or even stable situations? The party trick is the price… Sure, it could be Soooooo much more. But Canon isn’t going to let it. They have to protect their cinema series and the 5D3. I have long thought about getting the GH3 instead of the 5Dmk2 i have now. The GH3 is better than the 5dmk3 (out of box = no ML) and with all the exciting news about the GH4, I’m like this |–X-| close to buying it – when it comes out. The GH4 looks awesome, but the shift into MFT would be rough, especially without a speed booster converter. My mk3 collects dust on the shelf ever since I got 6d. Agreed. I love working with our C100 (I better; I was the once who convinced the company to buy it!). I wouldn’t be surprised if Canon doesn’t blow us away, but rather improves on the C100. Maybe a C200. It needs a better monitor for sure. 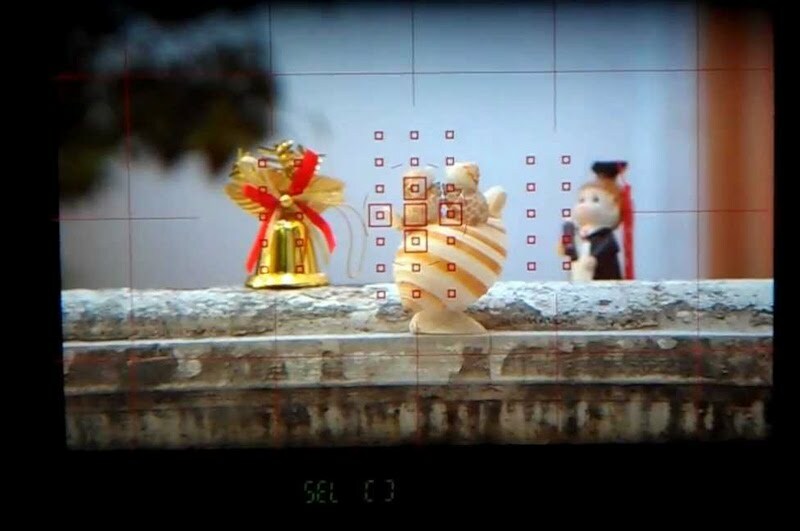 The viewfinder is practically unusable. And I’d love to see it be able to shoot some slomo. Relatively minor upgrades would be nice. Caleb, you did it again! You have helped steer me away from spending unnecessary money on a 5D Mark III. I am looking to add a second camera for two camera shoots with matching Canon quality and I believe the 6D is the way to go for my needs. The Digic!5 processor is a big step up for me…Of course, I’m not yet running Magic Lantern on my 5D Mk II so I know I’m not getting the best out of my camera.. THANK YOU for all you do to help those of us who are ‘pursuing the passion’ to make the wisest choices in equipment and get the most out of our capital expenditures! Thank you for the kind words. It is aways encouraging to hear things like that! I’m looking at both right now; getting a 6D from Canon CPS in a couple weeks to experiment with. So… the 6D will allow HD monitoring “when” recording? So I shouldn’t have a switch take place when using my lilliput monitor? and the 5D2 doesn’t allow this? What about Moire, is it really that bad? are there tips for controlling it? (aside from buying the $300 filter? Caleb, have you done any videos on filming with the 6D? I’d love to get some tips on how you set up, and shoot in different scenarios. Hi Caleb, thanks for doing this site. I am trying to absorb as much info from it as I can. My question is this: I have been shooting DSLR video ever since the D90 came out and started this whole DSLR revolution. I am looking at a new camera and am considering the 6D. the mk3 is out of my price range. Is the 6D the way to go (just for video purposes) or are there other alternatives that are cheaper and provide the same quality/lens compatibility in terms of video? Thanks! Also, I don’t care about audio inputs/etc – I’ll do external audio only. you certainly convinced me! 6D it is, with $1500 left for a neat lens! Shooting a lot of spots? You really need a 5d to shoot spots? My 7D’s often overheat shooting video for long periods of time (i.e. : wedding ceremony). How does the 6D handle it? Any problems there? Definitely curious about this cam. Would be an upgrade from the 7D in a lot of ways, that’s for sure. If your going strictly pictures, the 6D makes more sense. I had both cameras and from what I can tell, the 6D has slightly sharper images due to no AA filter, and does better at ISO noise. Video quality is similar. The AF is a different world altogether but not to say the 6D is crap either, it is better than the 5D Mark II. What the article doesn’t say is that while the 6D shoots RAW video, it can not reach 1080p at all because its limited by the SD card write speed. RAW is very hard to actually process and edit, but if your going to shoot video, get the 5D and use a 1000x CF card. Otherwise, if you shooting primarily pictures, the 6D makes more sense with the savings to buy a good lens. I had the Sigma 24-105mm and it was much sharper than the Canon 24-105mm, but its well worth to invest into a lens. Hey Shawn, I think Caleb made the review before RAW became usable on the 6D, I think thats why the text saying the 6D can’t is crossed out. I take it back, if you want to shoot video, get the Panasonic GH4 and don’t worry about all this processing and editing. I don’t think as of now, Canon has any advantage in the DSLR market. Nikon cameras shoot more detailed and sharper images with better dynamic range. Panasonic shoot infinitely better video. So, idk why Canon is an option to anyone. Hey Shawn, I just got a 5Dmk3 so I may be biased (disclaimer out of the way). I thought for a full year before deciding to stick with Canon and heres why… 1. I love the warm (look) you get from canon Cameras. 2. Am heavily invested in EF lens 3. I can’t stand the menu system from Panasonic (I can barely deal with Nikons), that may sound trivial to you but I actually used my phone as a second Camera when I could not work out the GH’s menu. 4. and most off all, the attraction of RAW on the Mk3 swayed it for me, I will go for 14bit RAW (with audio) over 4k any day, any time. The colours are mind blowing for me, I don’t see the value in a bigger frame size as I don’t personally know one client/person that has a 4k TV or monitor. Pls note this is not to say 4K is irrelevant or RAW is better, just that for me RAW is the way forward. For others, it may well be 4K, in the end its down to whats important to you as a creative coupled with what your clients/audience demand. As a 6D owner I love it! I do all video so the price and low light advantage is what sold me. A pro photographer friend of mine, who owns a 5D MkIII recommended it and said he’d love to get one for video. I recently shot a 30 minute documentary with it and the results speak for themselves.